A small script-mod that lets you configure the speed of the vanilla boat. Adds a mod menu and sliders to set base boat speed and multipliers. The mod is based on a hack, it doesn't actually change base game boat stats. But hey, it works. - The mod is off by default. 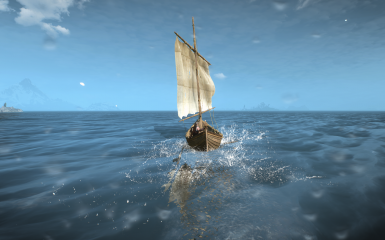 - Open the mod menu, enable the mod and configure the boat speed. 2. Download and install Realistic Sailing Mod. 1. Put the modBoatTweaks folder in your mods folder in your W3 directory. - Run Mod Merger if you have too many bundle-mods installed. Erx, KNG and Murzinio for help with the mod.